​TalkSport presenter Adrian Durham has suggested Jurgen Klopp is running out of time to deliver success at Anfield. Liverpool suffered another setback in their hunt for silverware this week, after a defeat to PSG left them on the verge of an early Champions League exit. A group stage exit would be something of a comedown for Liverpool, after they reached the final last season. They began this year's competition in impressive fashion with a 3-2 win over the French champions at Anfield. Subsequent defeats to Napoli and Red Star Belgrade left Liverpool’s fortunes in the balance after PSG exacted their revenge at the Parc des Princes. Durham doesn’t fancy the Reds' chances in their final game with Napoli and insisted the blame could lie with the manager. “If they don’t get through this group it is a massive failure and it is down to the decisions he has made. That midfield he picked – he wants that to compete against Paris Saint-Germain? Come on!” Durham ranted on his TalkSport show. Durham suggested the result reflects on Klopp’s continued failure to lift silverware with Liverpool. The German has led the Reds to three major finals in three years; the Capital One Cup, Europa League and last season’s Champions League, but Klopp and Liverpool have been foiled on each occasion. 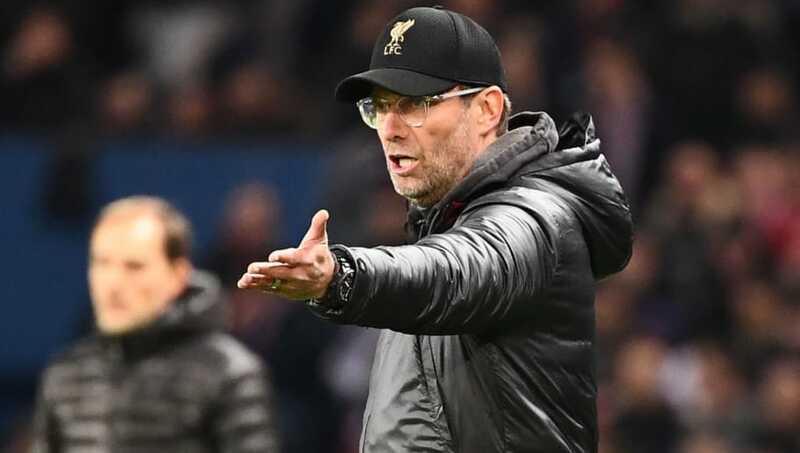 According to Durham, that record is leading the fans and the board to become frustrated – and he questioned how much longer Klopp can fail to bring success before he is relieved of his position. “I think time is out running out for Jurgen Klopp. We’re still waiting for Jurgen Klopp to win something at Liverpool,” he added.